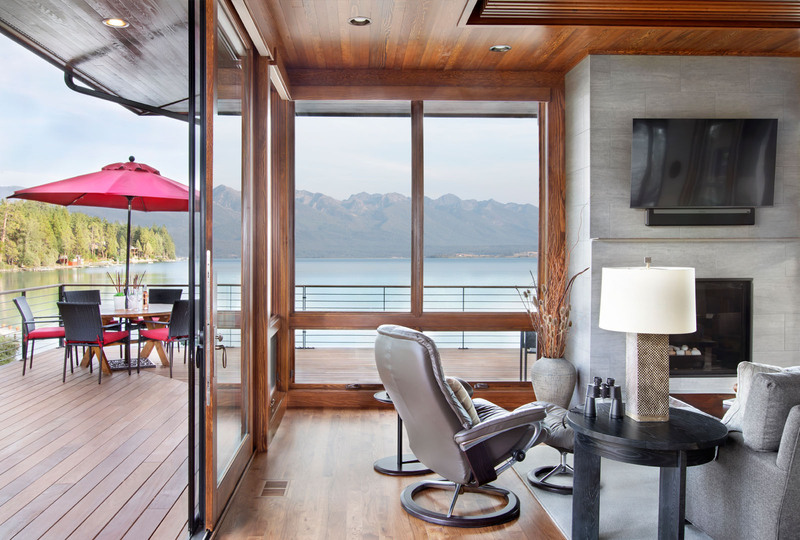 The Flathead Lake Cabin is located on a sloping site on the west shore of Flathead Lake in northern Montana. 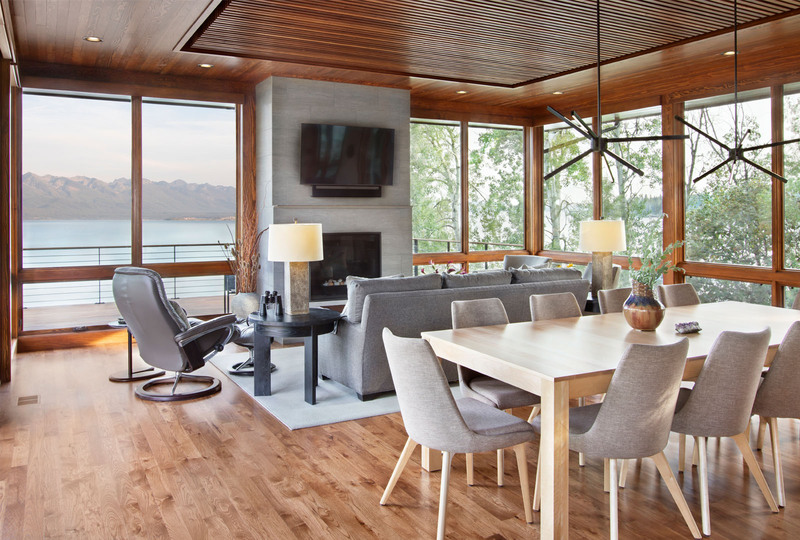 The home was designed to appear humble from the drive-up approach and then open generously to the views of the lake and Mission Mountains beyond. 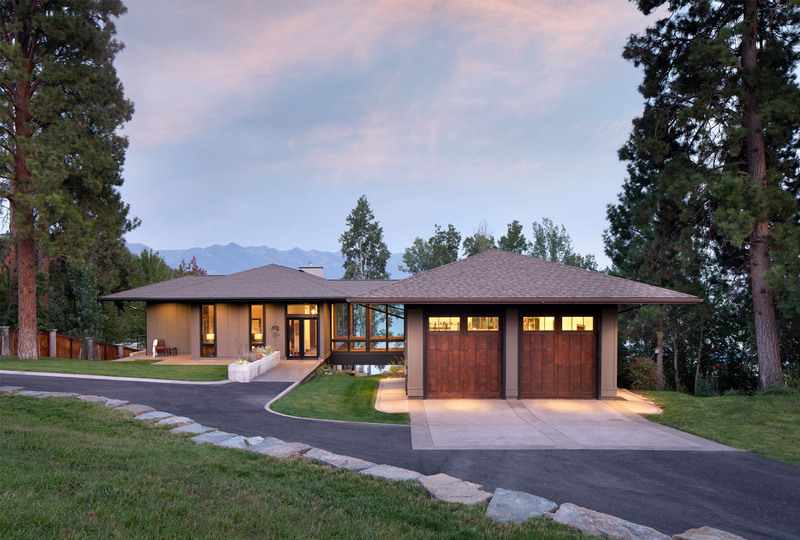 The site featured an existing hip-roofed garage with prominent overhangs which was integrated into the design of the new home. 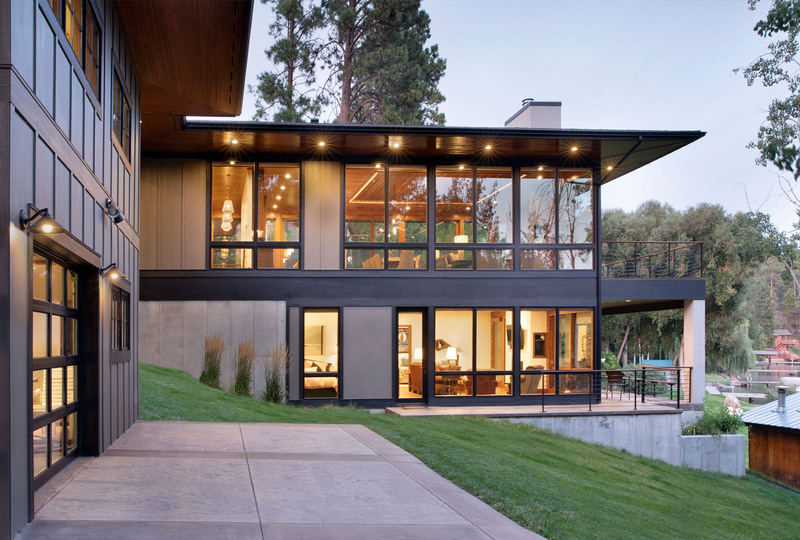 As a unifying element, a glass enclosed bridge structure connects the garage to the main home and allows site drainage to run beneath. 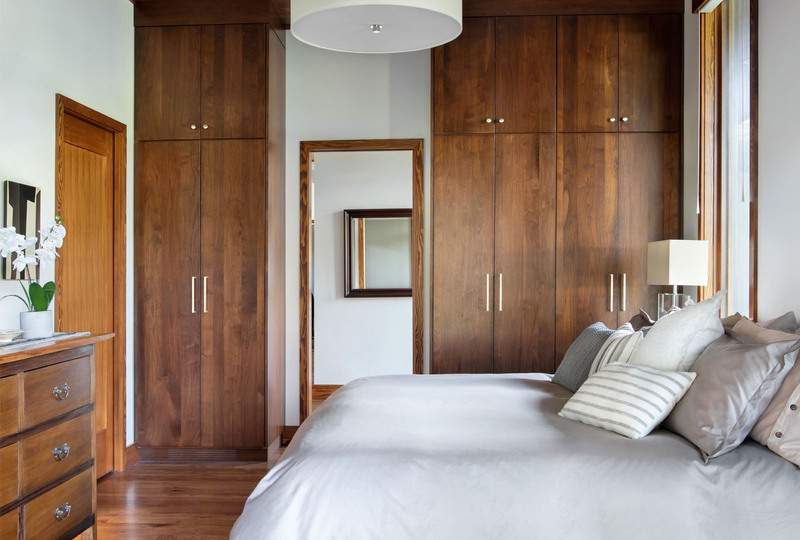 The main floor includes an open plan great room and the master bedroom suite. 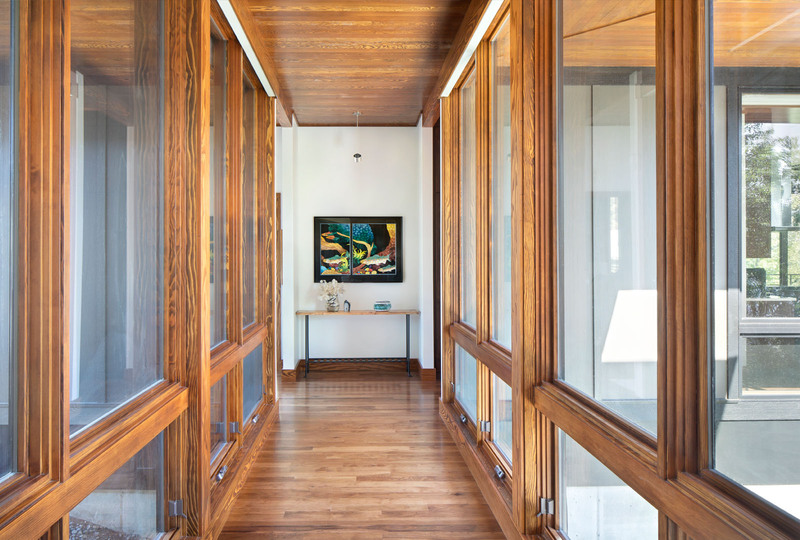 Panoramic views are emphasized by floor to ceiling windows on three sides of the great room. 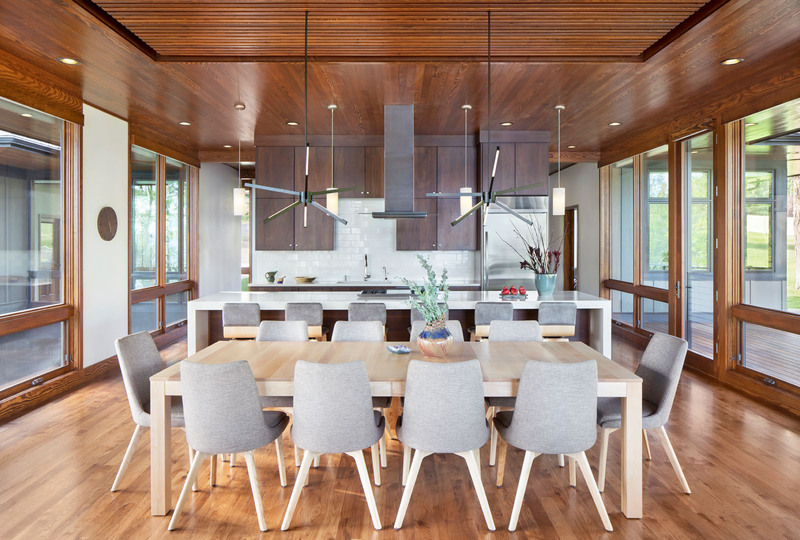 To enhance the connection to the outdoors, the wood ceiling aligns with the wood roof soffit, leading one’s vision out to the horizon. 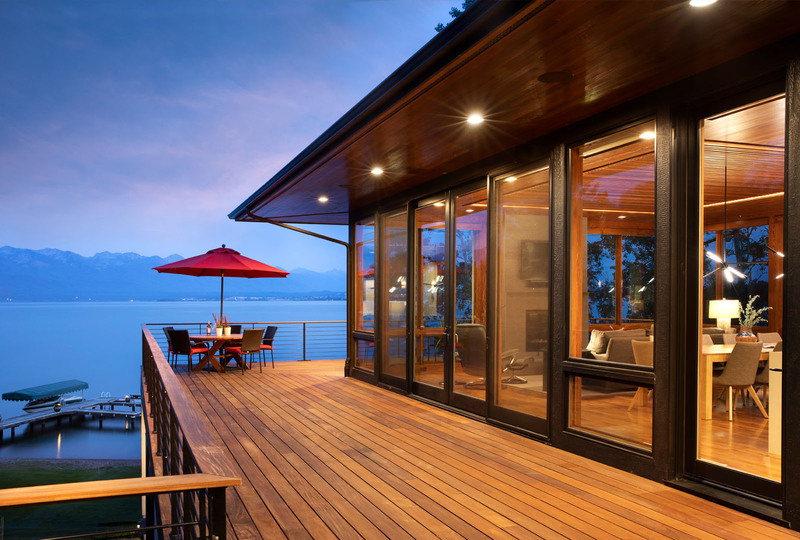 Off the dining area, a 20-foot glass door opens up to the generous wrap-around deck, doubling the dining/living space when open. 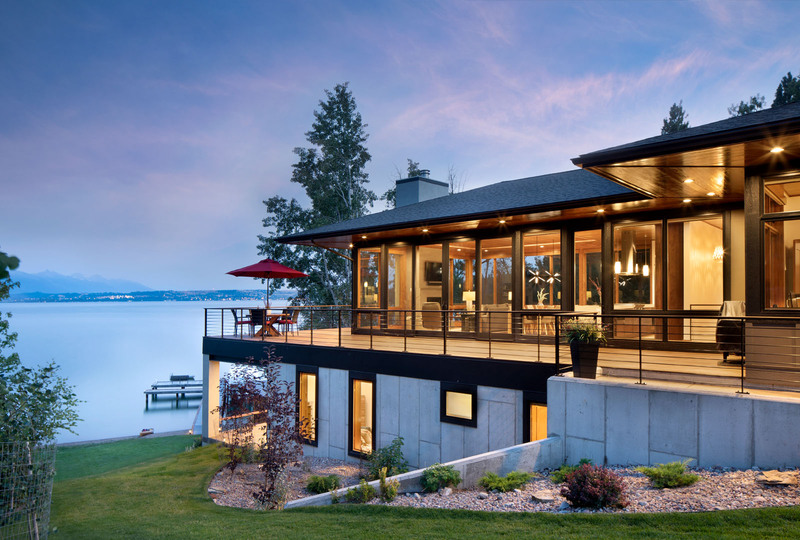 A concrete fireplace anchors the home on the lake side. 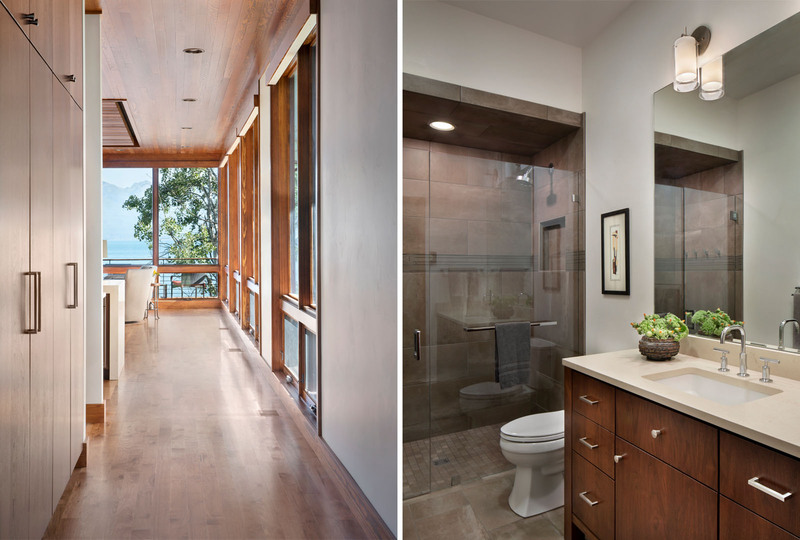 The home takes advantage of the sloping site with a walkout lower level containing guest bedrooms and baths, a bunk room and a lounge. 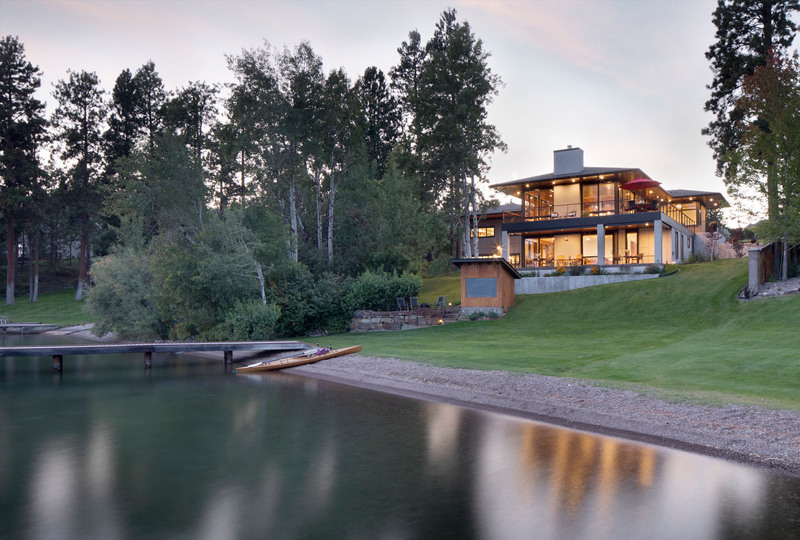 The small wood sauna and stone firepit on the lakeside were built by the clients and their children over the past 30 years. 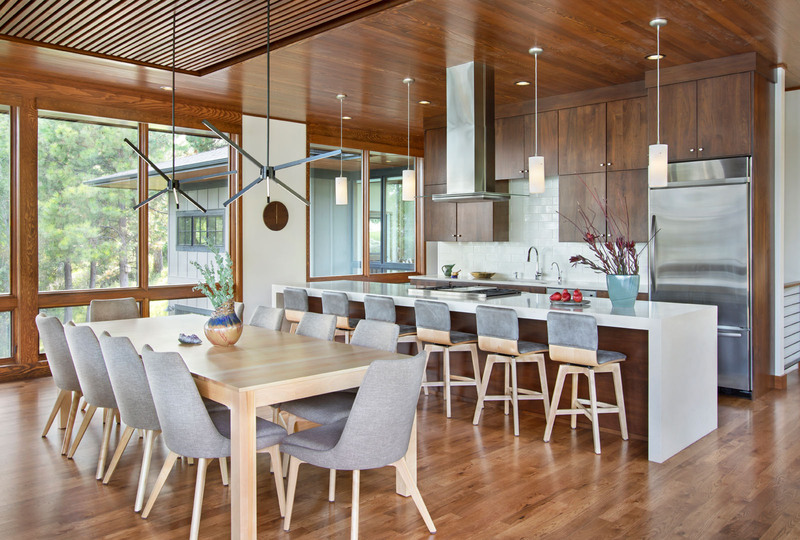 This new home represents the latest and perhaps final component of a decades-long family process of shaping this incredible site into a lasting legacy.